Ian Anselmo is accused of strangling his pregnant stepmother, Sue Ellen Anselmo, and then calling 911 from a cemetery to confess. 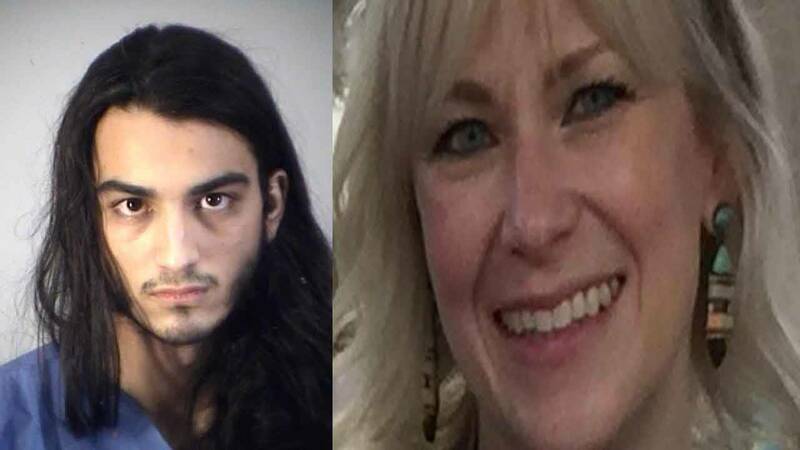 EUSTIS, Fla. - A 21-year-old Florida man strangled his pregnant stepmother and called 911 from a cemetery to confess to killing her, authorities said. Police officers found Ian Anselmo in Sue Ellen Anselmo's SUV on March 13. The 39-year-old mother of six was bleeding and unconscious in the driver's seat, a cord wrapped taut around her neck. Lake County prosecutors charged Ian Anselmo in the assault of his stepmother, but offered no motive in a probable cause affidavit. The charges are likely to be upgraded because she later died. "This whole thing seems so weird," the suspect's father, John Anselmo, told the Orlando Sentinel. In the 911 call, Ian Anselmo mentioned an argument, police said. They offered few other details. The Anselmos had separated a week before the killing. A GoFundMe account was created to help raise money for the victim's family.